SOUTHWEST PHILADELPHIA (WPVI) -- A police chase that started in Delaware County has ended in Southwest Philadelphia. The chase began in Darby Township after officers tried to stop a vehicle. They pursued the vehicle into Philadelphia and apparently lost sight of it. 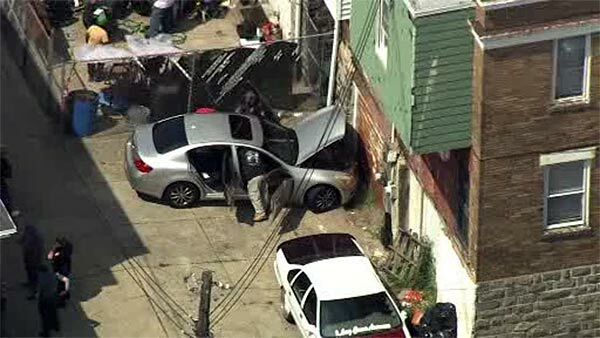 Action News is told the vehicle was recovered in the 5600 block of Belmar Street in Southwest Philadelphia. Chopper 6 HD was over that location as police surrounded and searched a silver sedan parked behind a row house. There was no immediate word why police were trying to stop the vehicle, or whether any arrests have been made.